William Herschel announced the star Lambda Herculis as being at the Solar Apex, the farthest point from the galactic center in the Sun's orbit around the galaxy. H. Thiele discovered asteroid #1847 Stobbe. Explorer 1 became the first US satellite to orbit the Earth. James Van Allen discovered the Van Allen radiation belt from data returned by the Explorer 1 satellite when the cosmic ray count proved to be much less than expected. Lowell Observatory discovered asteroid #2847. The first scientific hand-held calculator, the HP-35, was introduced with a price of $395. Werner Karl Heisenberg (5 December 1901 - 1 February 1976) was a celebrated physicist and Nobel laureate, one of the founders of quantum mechanics. He invented matrix mechanics, the first formalization of quantum mechanics in 1925. His uncertainty principle, discovered in 1927, states that the determination of both the position and momentum of a particle necessarily contains errors, the product of these being not less than a known constant. Together with Niels Bohr, he went on to formulate the Copenhagen interpretation of quantum mechanics. He received the Nobel Prize in physics in 1932 "for the creation of quantum mechanics, the application of which has, inter alia, led to the discovery of the allotropic forms of hydrogen." Russia's Soyuz-TM 15 landed, returning from the Mir space station. A large meteor fell near Kusaie in the Pacific Ocean and exploded at an estimated 20 km altitude. As it was re-entering the atmosphere over Texas, NASA's STS 107 (Columbia) Shuttle disintegrated, killing the seven crew members aboard. STS 107 began 16 January 2003 when Columbia, NASA's first Shuttle to go into space, was launched from Kennedy Space Center for a microgravity research mission. 15 days, 22 hours, 20 minutes later, the entire seven member crew, Commander Rick Husband, Pilot Willie McCool, Mission Specialists Michael Anderson, Dave Brown, Laurel Clark and Kalpana Chawla and Payload Specialist Ilan Ramon of Israel, was killed on 1 February 2003 when the Shuttle disintegrated over Texas during reentry into the Earth's atmosphere. This was the second total loss of a Space Shuttle (in flight), the first being Challenger (STS 51-L). 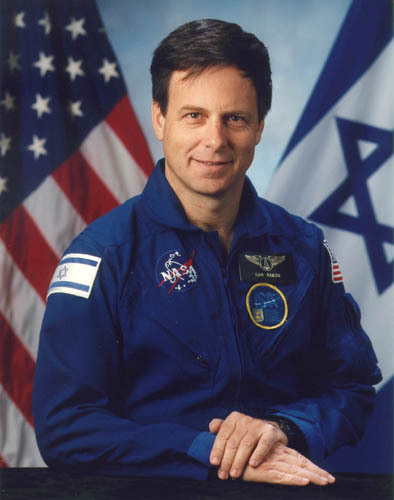 Based on publically available news reports at the time, Fred Koschara, President of The L5 Development Group, published an analysis indicating the disaster was most likely due to insulating foam breaking off the Shuttle's external fuel tank during launch. (The original article incorrectly stated the Shuttle had been docked at the International Space Station during its mission, the error was corrected the next day.) It was not until late June that NASA's Columbia Accident Investigation Board came to the same conclusion; the first volume of their report was released on 26 August 2003.